Culture week was expressed in a different kind of way, when poet and teacher Mike Sonksen, a.k.a. Mike the Poet, visited LAHC. 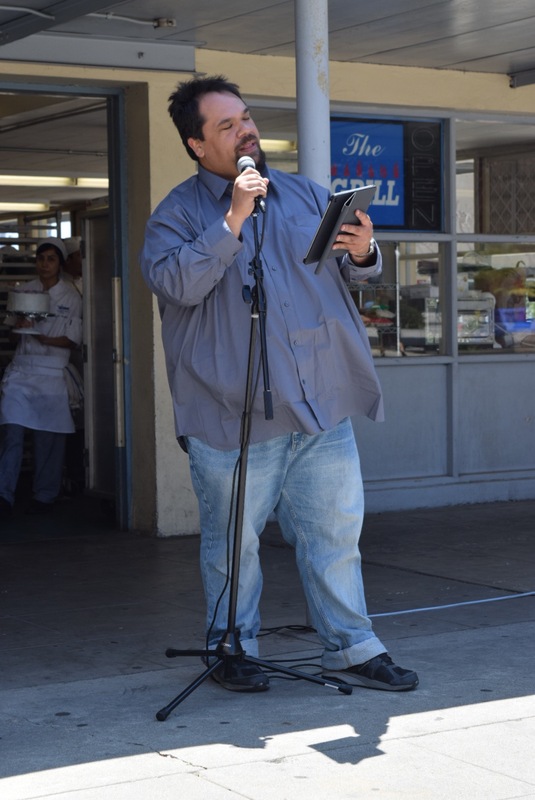 On May 12, the quad area of the cafeteria was set up with a microphone and some chairs for the audience, and with the encouragement of host Sonksen telling students to go up and read poetry, a small version of an open mic night began. Mike Sunken, a.k.a. 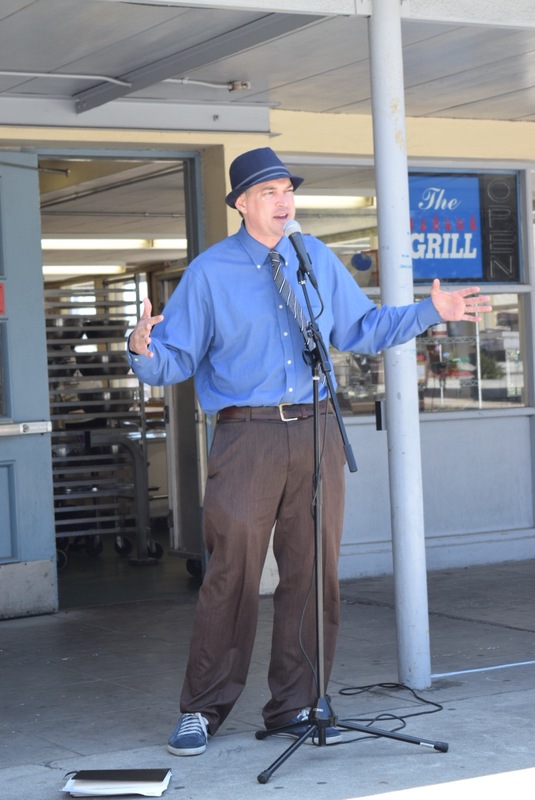 Mike the Poet, led an open mic poetry session, where he encouraged Harbor students to express themselves. Sonksen began the event with some of his own poetry. “This is the 562” was a poem that spoke of appreciation for Long Beach, the city he grew up in, where he praised the many characteristics and people that made Long Beach the city it is. “We Need Water,” a poem about the drought California has been experiencing came next. He closed his performance with “A Poem for College Freshman,” which spoke to all the college students in the audience who have experienced the fear, excitement and confusion associated with being a freshman. While funny was an option, students for the most part, stuck to expressing themselves and their lives – the very aspects that make them who they are. 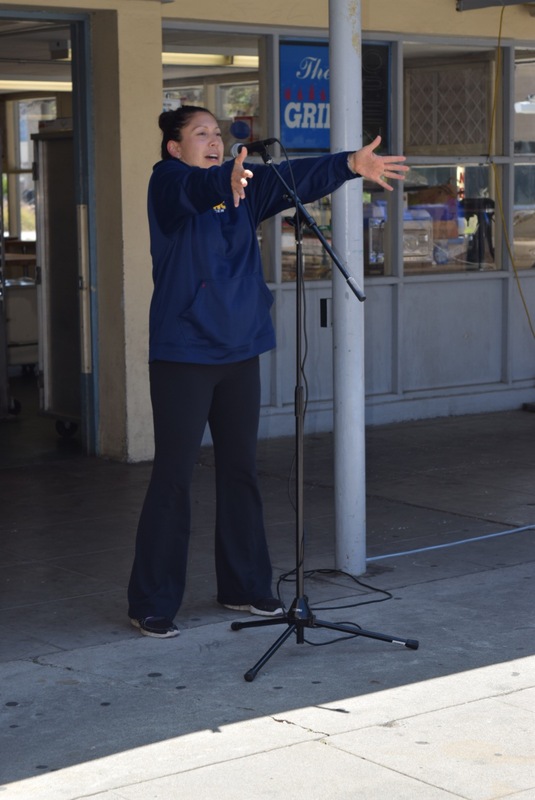 Student Marlene Lopez performed a poem about her daily life as a hairdresser, while another student Kat Ashe spoke of a girl she knew who just wants to be loved. Another student, Liberty Cohen, expressed her love for her little brother who was not so little anymore. Many students there were inspired to read aloud their own poetry, some even deciding, in the spur of the moment, to present. One student in particular, Alicia Dominguez, was so inspired that she wrote a poem on the spot to read aloud. Sonksen whose biggest mission is to get people excited about writing, especially writing about their cities and where they come from was happy with the results that the open mic brought. As an 11 and 12 grade English, poetry, and journalism teacher, Sonksen helps many students discover the power of writing. Hosting and attending different open mic nights is one way that Sonksen choses to reach out to the younger generation of future poets, hoping to teach them a way to express themselves and their city. “Young people are the future of the city, and they need to know where they’re from and invest in it” he said.